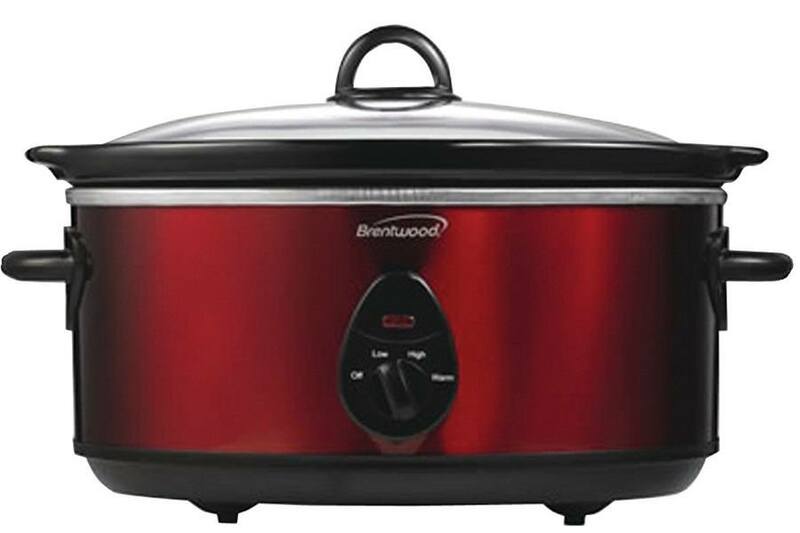 The Brentwood 6.5 Quart Slow Cooker embodies all of the best features needed to provide a simple yet tasty meal. Fashioned on traditional slow cookers but with additional modern touches, the Brentwood Slow Cooker is the ultimate kitchen appliance for the busy chef. 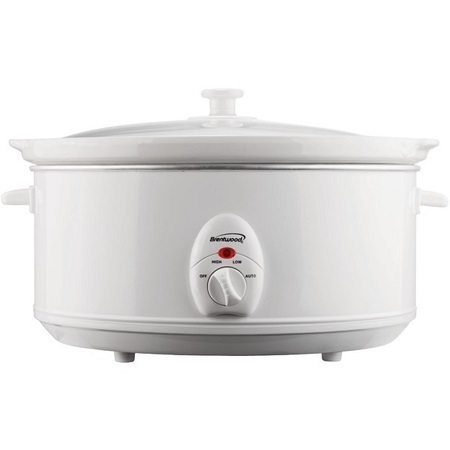 With a huge 6.5 quart capacity, there’s enough room to prepare plenty of hearty food, and the cool touch handles and tempered glass lid add elements of safety not found with traditional slow cookers. When you’re done preparing food, simply take out the removable ceramic pot for cleaning. Without a range of bowls, pots, and pans to take care of you’ll be amazed at how quick it is to prepare and clean a meal with the Brentwood Slow Cooker. Cooking with the Brentwood couldn’t be easier, as you simply add your ingredients to the pot and let it do the rest of the work. With three settings of either low, high, or auto, you can simply set and forget your slow cooker while you get on with your day. When it’s time to eat, the meal is ready to go, and tasting fresh and hot. This Brentwood Slow Cooker is the ideal way to eat healthy, without sacrificing on the important flavors and textures that you can your family love. 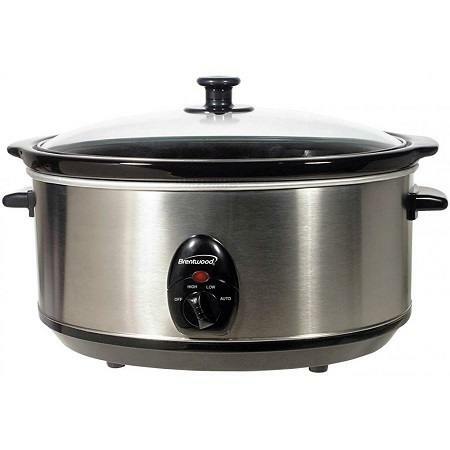 The ultimate kitchen appliance for the busy chef, this slow cooker can change the way you prepare your meals forever. Quality ceramic pot won’t crack, bubble or chip away as some types of non-stick coatings can do. The tempered glass lid and cool-touch handles make it ideal for preparing meals around children, as there’s no need to worry about burnt hands touching the top. Although priced a lot lower to compensate, this slow cooker is slightly limited in what it can do. With only the option to slow cook recipes, you may want something a little more complicated. If you’re looking for a simple yet quality slow cooker, the Brentwood is the ideal kitchen appliance. 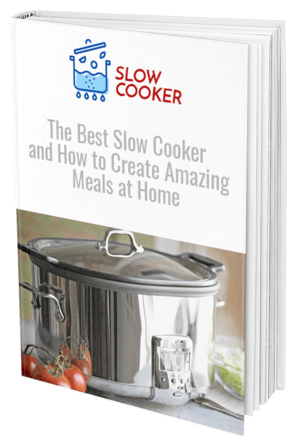 While it doesn’t feature any fancy bells or whistles, it does offer absolute perfection for using the slow cook method to prepare a nutritious and tasty meal. The ceramic pot is a nice change from other slow cookers that may use non-stick surfaces as it promises a long lasting and flavor enhancing surface to cook on. With three settings you’re able to customize cooking time and power to suit a whole range of recipes. To cook with simplicity and enhance the flavor of your next meal, purchase your Brentwood Slow Cooker today.